Administrative Law Judge (ALJ) Peter Paul Castillo, Office of Administrative Hearings (OAH) , Special Education Division, State of California, heard this matter in Los Altos, California, on October 17-20 and November 2, 2006, and telephonically on November 3, 2006. Geralyn M. Clancy and Bob Varma, Attorneys at Law, represented Student. Student was not present during the hearing. Student’s Father was present during the entire hearing, and Mother on October 17-20, 2006. 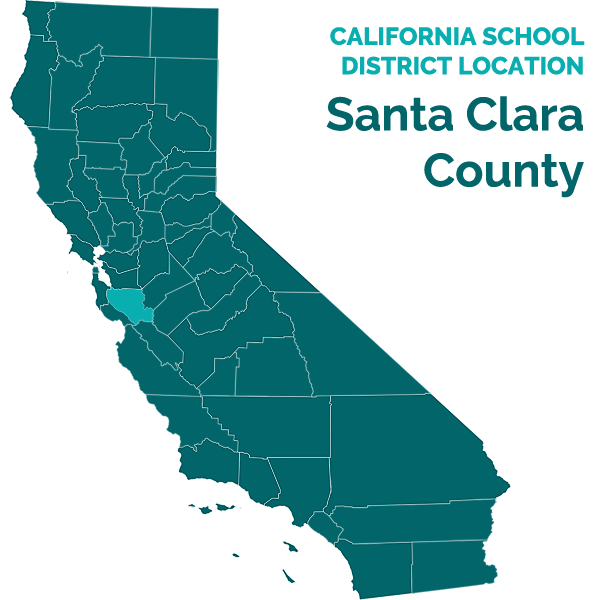 Eliza J. McArthur and Rodney L. Levin, Attorneys at Law, represented the Los Altos School District (District). Also present was Nancy Grejtak, District’s director of pupil services, and Charlene Luks, District’s prior director of pupil services. On June 30, 2005, Student filed a request for mediation and due process hearing. The matter was continued for hearing on July 1, 2005. The record remained open to receive written briefs after the completion of the hearing on November 3, 2006. OAH received Student’s closing brief on November 27, 2007, and the District’s closing brief on November 22, 2006. The record closed on November 27, 2006. 1. From August 8, 2003, through the 2003-2004 school year and 2004 Extended School Year (ESY), did the District fail to provide Student with a Free Appropriate Public Education (FAPE) because the District failed to supervise the implementation of Student’s Applied Behavioral Analysis (ABA) program through the certified non-public agency, I Can Too! Learning Center (ICT), as alleged in paragraphs 2 through 5 below? 2. From August 8, 2003, through the 2003-2004 school year and 2004 ESY, did the District fail to provide Student with FAPE because the District failed to provide appropriate supervision and training hours by the ICT behavior consultant, which affected the program design and efficacy of the ABA program, including instruction by untrained staff, failure to advance the skills development program, inappropriate use of behavior management techniques, failure to advance the skills development program, inappropriate use of behavior management techniques, failure to provide necessary generalization skills into other settings and across time, and cancelled team meetings? 3. From August 8, 2003, through the 2003-2004 school year and 2004 ESY, did the District fail to provide Student with FAPE because the District failed to implement appropriate behavior management techniques with Student as Student was subjected to aversive and otherwise inappropriate behavior management strategies? 4. From August 8, 2003, through the 2003-2004 school year and 2004 ESY, did the District fail to provide Student with FAPE because the District failed to provide Student with implementation of generalization and maintenance of acquired skills, as ICT did not adequately address the generalization of skills outside the one-on-one instructional hours, including home, school and community and across time? 5. Did the District fail to provide Student with FAPE because the District failed to provide Student with adequate social skills training to meet Student’s needs regarding the training provided by ICT in the school setting for the 2003-2004 school year through the 2004 ESY? Student contends that the District failed to properly supervise ICT’s ABA program. Student asserts that ICT recommended to Parents the use of aversive interventions to correct Student’s toileting accidents. The aversive methods include Parents giving Student a cold bath or shower for toileting accidents. Parents also contend that ICT approved Parents placing hot sauce in Student’s mouth to prevent thumb sucking. Student also alleges that ICT failed to design and implement a proper ABA program, and did not properly instruct Student to generalize skills outside of the one-on-one home teaching program. Student contends that ICT failed to provide Student with adequate social skills training when Student attended Covington Elementary. Finally, Student asserts that ICT did not provide all required hours of service. The District claims that Parents unilaterally implemented aversive methods to discipline Student over ICT’s objections. The District asserts that ICT provided Student with an appropriate ABA program and Student made adequate educational progress, considering Student’s mental retardation. The District contends that Student learned to generalize skills outside the one-on-one home program and that Parents interfered with ICT’s ability to provide Student with proper generalization skills. The District asserts Student has not proven a need for compensatory education because the District’s educational program since June 2004 has remediated any alleged harm to Student. Also, the District contends that Parents are the source of Student’s aggressive behaviors because of Parents’ use of aversive forms of discipline before and during ICT’s ABA program. 1. Student, born September 26, 1994, lives with his parents within the District boundaries. From August 8, 2003 through the 2004 ESY, Student was qualified for special education under the primary classification of autism, with a secondary classification of mental retardation. Student’s eligibility for special education remained unchanged during the relevant period of this case. 2. Parents and District agreed at the June 13, 2002 Individualized Education Program (IEP) meeting that Student would receive an intensive ABA home program and that ICT would be the program provider. Parents selected ICT before this IEP meeting. At the June 13, 2002 IEP meeting, Kevin Dotts, Director and owner of ICT, presented ICT’s proposed ABA program for Student. Mr. Dotts developed the program after observing Student at home and school and speaking with Parents. Mr. Dotts was the program director for Student’s ABA program. 3. Mr. Dotts has a bachelor of arts degree in personality and behavioral psychology and a master of arts degree in special education. Mr. Dotts has a certificate from the Treatment and Education of Autistic and Related Communication Handicapped Children (TEACCH), a nationally recognized autism education program. Mr. Dotts worked with the Center for Autism and Related Disorders (CARD) while in college as a behavior therapist providing Discrete Trial Training (DTT) services to autistic children in ABA programs. Mr. Dotts advanced to become a behavior consultant and then program supervisor with CARD. After leaving CARD, Mr. Dotts consulted with approximately 20 school districts regarding their implementation of ABA programs and provided ABA training to district staff. Mr. Dotts opened ICT in the spring of 2002. 4. Mr. Dotts recommended in his June 8, 2002 report that Student receive an ABA home-based program for 27 hours per week from ICT. An ICT program supervisor would provide Student with three hours per week of direct instruction. The program provided for weekly hour-and-a-half clinic meetings with Student, Parents and ICT personnel to discuss Student’s progress and to provide parent and staff training. Mr. Dotts was to attend the weekly clinic meetings and provide an hour-and-a-half per week of program development. The program supervisor, Kisa Korello, was to attend the clinic meetings and provide an hour-and-a-half per week of direct supervision to the ICT behavior therapists. ICT started the home program soon after the June 13, 2002 IEP meeting, and Student ceased attending school. ICT conducted the home program in a converted garage in Student’s home. 5. At the July 15, 2003 IEP meeting, the District proposed that Student attend a regular school for approximately two-and-a-half to three hours per day with a one-on-one aide, and to reduce Student’s home based program to 20 hours-per-week. Parents agreed that Student should attend a regular school, but did not accept the District’s school choice. At the start of August 2003, Student’s ABA home program remained the same. In mid-January 2004, Student began to attend Covington Elementary, a District school, in a special day class (SDC) two hours per day and received 20 hours per week of ABA services at home. Student’s one-on-one school aide was normally ICT behavior therapist Eric Phillips. Student attended Covington Elementary primarily for social interaction with other students. ICT provided Student’s ABA program through June 2004. At the June 5, 2004 IEP meeting, Parents withdrew their consent. Synergistic Interventions began to provide Student’s ABA program thereafter. 7. During Mr. Dotts’s evaluation of Student in May and June 2002, Mother told Mr. Dotts that Student was toilet trained, but still wore a diaper at night. Mother was not truthful as Student was not fully toilet trained and had toileting accidents when ICT commenced the home program. In either September or October 2002, Mr. Dotts and Mother discussed various strategies to reduce Student’s toileting accidents. Mr. Dotts explained to Mother several ABA approaches, such as establishing a toileting schedule. Mother was not satisfied with the different options Mr. Dotts proposed and asked what methods other parents have used to reduce toileting accidents. Mr. Dotts replied that he knew that another family gave the child a cold bath as a negative reinforcement to reduce toileting accidents. Mr. Dotts admitted that he knew that giving a child a cold bath after a toileting accident constituted a prohibited aversive intervention that ICT could not implement as part of its home program. 8. Mother embraced the idea of giving Student a cold bath as a means to reduce Student’s toileting accidents. Parents believed in the use of aversive interventions as a parenting technique. Parents spanked Student and Ms. Korello observed Mother spanking Student on a couple of occasions. Parents also burned a favorite book in front of Student if Student obsessed about the book so Student would know that the book was gone. 9. The parties do not dispute that Parents1 gave Student cold baths or showers in response to toileting accidents. If Student had a toileting accident, the behavior therapist would take Student to a Parent, who would give Student a cold bath or shower. 2 The parties dispute whether Mr. Dotts recommended cold baths for Student to decrease toileting accidents. Mr. Dotts admits to informing Mother about the cold baths, but states that he told Mother that he did not recommend its use. Mother states that Mr. Dotts never told her that he did not recommend the use of cold baths. Mr. Dotts discussed Student receiving cold baths for toileting accidents at the October 30, 2002 clinic meeting. However, the notes from this meeting and writings in Student’s data binder for the two years of the ABA program do not reflect that anyone from ICT recommended against giving Student cold baths. ICT never informed the District of the use of this aversive intervention. ICT did not mention problems with Student’s toileting in its June 13, 2003 and June 4, 20043 progress reports or at IEP meetings, even though ICT established a behavior plan regarding toileting accidents. 10. Even if ICT did not approve of the Mother giving Student a cold bath or shower in response to a toileting accident, Mother’s actions became part of the ABA program through ICT’s acquiescence. Mr. Dotts could not explain why he did not discuss this aversive intervention in his progress reports and at IEP meetings. ICT incorporated Mother’s cold bath routine, which did not improve Student’s toileting abilities. Student continued to have toileting accidents during the 2003-2004 school year at approximately the same level. Only after ICT ceased providing Student services, did Student’s toileting accidents decrease. Presently, Student rarely has a toileting accident at school and the toileting accidents do not affect Student’s present education or learning opportunities. 11. Parents also used hot sauce to stop Student from sucking his thumb during the ICT home program. ICT implemented different strategies to reduce Student’s thumb sucking because it was not an appropriate behavior for a nine-year-old child. ICT used proper techniques to target the thumb sucking, such as the use of gloves to discourage thumb sucking. ICT also used a Differential Reinforcement of Low Rates of Behavior (DRL) system to target Student’s thumb sucking.4 However, the use of hot sauce constitutes an aversive intervention, especially because Parents used spicier hot sauce when Student became accustomed to the hot sauce spiciness. ICT did not document its objections to Parents’ use of hot sauce and incorporated Parents’ activity into its ABA program by its acquiescence. ICT documented Parents’ use of hot sauce without any comment that ICT did not approve of this technique to curb Student’s thumb sucking. ICT’s ABA program and Parent’s use of hot sauce did not reduce Student’s thumb sucking during the 2003-2004 school year. Presently, thumb sucking is not a behavioral problem for Student. 1 Mother was normally present during the home program and primarily gave Student the cold bath or shower in response to a toileting accident. Father, if present, was typically at home at the end of the day’s program. 2 ICT also documented Student’s toilet usage and the cold baths and showers in a spiral notebook kept in the bathroom. 3 This report was mistakenly dated June 2, 2003. 4 ICT’s development and use of the DRL system is discussed in further detail below. 5 Both Dr. Osnes and Ms. Davis stated that a dual diagnosis of autism and mental retardation was common. 6 Dr. O. Ivar Lovaas coined the term Drill Sergeant to refer to this technique. 7 Student’s citation to a 1981 article regarding the educational advantages of positive reinforcement compared to overcorrection is not persuasive. (Carey and Bucher, Identifying the Educative and Suppressive Effects of Positive Practice and Restitutional Overcorrection (Spring 1981) 1981, 14 Journal of Applied Behavior Analysis, pages 71-80.) The article’s study looked at mentally retarded adults in a residential institution who displayed an inappropriate eating behavior. The restitutional overcorrection used in the study is not remotely similar to the Listening Drill as the study’s subjects were told of the inappropriate action, the plate removed, subject required to clean the mess, wipe one’s hands, face, table and chair for two minutes, and then apologize to the other residents. 8 The nature of the difference between Dr. Osnes’s and Ms. Davis’s ABA program preference is discussed further below in the discussion regarding ICT’s use of a DRL system. 9 Lovaas-style ABA programs follow the teaching of Dr. Lovaas and involve intensive behavior modification therapy through the use of DTT and one-on-one repetitive drills. A synopsis regarding the debate between proponents of the Lovaas-style versus the more expansive approach put forth by Dr. Osnes can be found in Student v. Los Angeles Unified School District (June 2, 2006) OAH No. 2005090882, pp. 5, 15, 16, 22 and 23. 10 Student’s progress with the DRL system isdiscussed in further detail below. 11 While Juanita Traver, Student’s behavioral consultant from spring 2005 to the present, stated the type of documentation that she believes is necessary for an ABA program, Ms. Traver did not offer an opinion whether ICT properly documented Student’s ABA program. 12 Ms. Luks’s office was on the Covington Elementary grounds, and she would go to the playground to observe Student and other special education students. 13 All statutory citations to the Education Code are to California law, unless otherwise noted. 14 Although Adams involved an Individual Family Service Plan and not an IEP, the Ninth Circuit Court of Appeals applied the analysis in Adams to other issues concerning an IEP (Christopher S. v. Stanislaus County Off. of Education (9th Cir. 2004) 384 F.3d 1205, 1212), and District Courts within the Ninth Circuit have adopted its analysis of this issue for an IEP (Pitchford v. Salem-Keizer School Dist. No. 24J (D. Or. 2001) 155 F. Supp. 2d 1213, 1236). 12. Student’s expert, Pamela Osnes, Ph.D., established that the use aversive interventions decreases the success of an ABA program as she provided convincing expert testimony regarding the harm caused by aversive interventions. However, Dr. Osnes stated that she could not determine a level of compensatory education Student requires due to the aversive interventions without conducting a Functional Analysis Assessment (FAA). Also, a FAA is needed to determine any harm caused to Student by the aversive interventions. 13. Dr. Osnes reviewed Student’s data binder, prior assessments, IEPs and ICT progress reports. She spoke to Parents, and observed Student twice. One observation occurred at a restaurant with Student’s family and the other observation was at Student’s home where Dr. Osnes conducted an informal assessment of Student. Dr. Osnes observed Student for a combined four-and-a-half hours. Dr. Osnes is a certified behavior analyst by the Behavior Analyst Certification Board, a national ABA certification organization. Dr. Osnes has a Ph.D. in special education, extensive experience with ABA programs for autistic children, and working with children with a dual diagnosis of autism and mental retardation. 14. Student also challenged ICT’s toileting behavior plan for Student at Covington Elementary. Student continued to have toileting accidents when he began attending Covington Elementary in mid-January 2004. At first, ICT used a token response cost system to address Student’s toileting in which Student lost token dollars for having toileting accidents and obtained token dollars for not having an accident. ICT used this token system because Student’s SDC teacher used this system to improve behavioral issues as students could purchase items in class with token dollars. ICT also attempted to create a toileting schedule. If Student had a toileting accident during recess, Student lost a portion of the recess, approximately three to five minutes. For the recess timeout, the ICT therapist would take Student from the bathroom and then head back to the playground as if returning to recess. Before the Student and therapist got back to the playground, the therapist would “pretend” to just remember and tell Student that he had lost recess due to the toileting accident. According to Mr. Dotts, the purpose of this technique was to reinforce with Student the consequence of the toileting accident with the loss of recess. 15. Dr. Osnes opined that ICT’s school toileting plan was a prohibited form of punishment. Dr. Osnes stated that the ICT therapist taking Student back to the playground and then reminding Student of the loss of recess due to the toileting accident humiliated Student. The District’s expert, Shelley Davis, disagreed with Dr. Osnes and stated that ICT’s plan properly reinforced to Student the consequence of a toileting accident. Mr. Phillips did not state that Student became upset at losing recess. ICT’s toileting plan at school did not constitute an aversive intervention as loss of recess, coupled with informing Student about the loss of recess did not humiliate Student. 17. ICT implemented an overcorrection technique to reduce Student’s inappropriate behavior and to redirect Student when Student became non-responsive or non-compliant during a therapy session. ICT began this overcorrection technique in September 2003. ICT used a technique called a Listening Drill or Drill Sergeant.6 The Listening Drill required the ICT therapist to deliver a series of repetitive commands for skills that Student had already mastered. The Listening Drill required Student “to stand up, sit down, clap hands, touch head, touch nose . . .” to refocus Student and for Student to pay attention to the therapist to increase compliance. 18. Overcorrection is a behavioral technique to have a person learn a correct behavior. An overcorrection example is when a parent has a child open and close a door several times after the child slammed a door closed. The Listening Drill is a positive overcorrection that attempts to refocus the child. 20. Mr. Phillips stated that the Listening Drill was effective in his sessions with Student and did not increase Student’s non-compliant behaviors. A review of the data binder indicates that there were times in which the Listening Drill worked to improve Student’s behavior, and there were times when the Listening Drill did not work. Other than Mother’s complaint regarding ICT behavior therapist Pam Williams, Mother did not state Student engaged in defiant behaviors with the other therapists during the Listening Drill. 21. Regarding Ms. Williams, Mother observed that Student and Ms. Williams appeared to get into power struggles and Student’s aggressive behaviors escalated during the listening drills with Ms. Williams. Ms. Williams started working with Student in September 2003 and Student often challenged Ms. Williams during her therapy sessions. Mr. Dotts and Ms. Korello were aware of Student’s defiance regarding Ms. Williams, which culminated in a meeting in March 2004 between Mother, Mr. Dotts and Ms. Korello after Ms. Williams left a therapy session in tears after Mother confronted Ms. Williams in front of Student. 22. Student picked on Ms. Williams as she was the newest therapist and Mr. Dotts and Ms. Korello acknowledged that Student would challenge new persons. ICT provided Ms. Williams with adequate training regarding Student’s ABA program before she started working with Student. Ms. Korello also instructed Ms. Williams to use a softer voice with Student during the listening drills and to avoid eye contact so Student could focus on the drill. Mother’s conduct during these sessions created unnecessary tension and caused Student to be more defiant, which negatively impacted Ms. Williams’ use of the Listening Drill. 24. Mr. Dotts and Ms. Korello discussed with Parents the targeted behaviors in clinic meetings and documented these behaviors in Student’s data binder. ICT personnel gathered the required baseline data. Mr. Dotts first established a 15-minute time period and 13 chances for Student. ICT represented the chances as ‘stars’ that the ICT therapist would remove for each targeted non-compliant behavior. If any stars remained at the end of the session, Student could choose a reward. Student’s behavior improved and ICT lengthened the time and decreased the number of opportunities as Student went to five stars in a 20-minute period. ICT added to the DRL system in February 2004, having Student place items in a cup for positive behaviors during a therapy session. Student then counted these items at the end of the session to reinforce Student’s positive behaviors and to work on Student’s counting skills. 25. Dr. Osnes opined that ICT’s DRL system constituted a punishment system when used for non-compliant behavior because Student would lose his reward if he lost all his stars. Dr. Osnes believed that ICT should have used a system that provided Student with positive reinforcement for positive behaviors for Student to learn compliant behaviors. Dr. Osnes stated that Student’s ABA program should have focused on Student learning positive behaviors, and that the DRL system simply focused on decreasing non-compliant behaviors. 26. Ms. Davis uses the DRL system in the ABA program she creates and consults for children with impulse control problems. Ms. Davis stated that the purpose of a DRL system is to teach the child self-restraint as the child obtains the reward for reducing the number of targeted behaviors. Ms. Davis opined that based on her experience and the information that she reviewed that the DRL system that ICT implemented was appropriate for Student and not a form of punishment. 27. The dispute between Ms. Davis and Dr. Osnes regarding the appropriateness of ICT’s use of a DRL system is based on philosophical differences regarding ABA theory and implementation. Dr. Osnes and Ms. Davis both described the various branches of ABA theory. Ms. Davis’s preferred method is Lovaas-style, while Dr. Osnes uses a more eclectic approach that focuses more on positive reinforcement. The fact that Ms. Davis and Dr. Osnes prefer different forms of ABA programs for the same child is not unexpected as ABA is not a monolithic area of study and practice as evidenced by the different branches that have evolved. Neither Ms. Davis nor Dr. Osnes established that the ABA program preference that each recommended is superior to the other’s preference. 28. Regarding Dr. Osnes’s opinion that the DRL system is a form of punishment, not all forms of punishment are prohibited, only those forms of punishment that are aversive. A timeout is a form of punishment, but California law does not prohibit the use of timeouts for students. The DRL system does contain a form of punishment in that the student does not receive the reward if the student loses all of his chances. However, the fact that the student does not receive a reward is not aversive as the failure to obtain the reward does not subject the student to humiliation or cause excessive emotional trauma. 30. The fact that a student has behavior problems that may affect the implementation of student’s goals and objectives does not mean that a school district needs to create a Behavior Intervention Plan. A school district need only create a Behavior Intervention Plan if the student displays a serious behavior problem that significantly impedes the district’s implementation of student’s IEP goals and objectives. 31. Student displayed aggressive behaviors during the entire time that ICT provided the ABA program. Student threatened to hit, swore at, spat at, and hit the ICT behavioral therapists. While Student’s aggressive behaviors would at times interfere with the ABA program, Student’s aggressive behaviors were not constant and ICT personnel easily handled these behaviors by using the behavior plan Mr. Dotts created. While ICT could have better documented this behavior plan, ICT personnel were aware of the nature of the plan due to the discussions at the clinic meetings and training by Mr. Dotts and Ms. Korello. Student’s aggressive behaviors were not so severe to require a FAA and Behavior Intervention Plan as the aggressive behavior did not significantly impair Student’s ABA program. 32. Regarding toileting and thumb sucking, ICT needed to work on these behaviors because they are not appropriate behaviors for a nine-year-old child. However, Student’s toileting problems and thumb sucking were not so serious of problems that they significantly affected Student’s progress in his ABA program. However, the aversive interventions negatively affected Student’s progress in these areas. 34. A district must provide a student with an educational program that is reasonably calculated to provide the student with some educational benefit in the least restrictive environment. A district is not required to provide a special education student with the best education available or to provide instruction or services that maximize a student’s abilities. A school district need only provide a basic floor of opportunity that consists of access to specialized instructional and related services, which are individually designed to provide an educational benefit to the student. 35. By August 2003, Student acquired needed skills to attend and do well in a classroom setting. Therefore, ICT properly shifted Student’s program to learn more functional skills, such as social interactions, conversations with others, telling time, and identifying money. The ABA program appropriately continued having Student master his letters and numbers and reducing Student’s inattentive behaviors, such as task avoidance and not paying attention during instruction. 36. The ICT staff collected data regarding Student’s baseline performance, Student’s performance in DTT instruction, when Student mastered targeted skills, generalization progress and performance in the DRL system. ICT personnel documented the findings in Student’s data binder, which was kept at Student’s home. Dr. Osnes criticized ICT’s data collection and stated that ICT did not adequately document Student’s progress, or lack of progress, in the data binder. 37. ICT personnel could have documented and maintained the data in a better and more concise manner regarding Student’s baseline numbers regarding targeted behaviors, progress towards goals and mastery of behavior goals. However, ICT’s failure to have a better record keeping and data collection system does not establish that ICT failed to properly implement Student’s ABA program, including the DRL system. Student made adequate improvement in all targeted behaviors, except for toileting and thumb sucking. 38. The data collected did not show a linear improvement, as Student had good and bad days. The data collected by ICT personnel and observations of Mr. Dotts, Ms. Korello and Mr. Phillips establish that Student made adequate progress with ICT’s ABA program. The fact that ICT could have better documented Student’s response to the ICT ABA program does not undermine the observations of Mr. Dotts, Ms. Korello and Mr. Phillips regarding Student’s progress, and Ms. Davis’s expert opinion that Student made adequate progress based on her review of Student’s data binder. 39. Dr. Osnes’s criticism of Student’s progress is based more on her philosophical differences regarding the Lovaas-style program ICT used. Mother’s opinion regarding Student’s progress is not credible as she was not truthful to Mr. Dotts regarding Student’s aggressive behaviors and toileting. The best evidence regarding Student’s lack of progress would be from a representative from Synergistic Interventions, which took over Student’s ABA program in June 2004. Synergistic Interventions conducted an evaluation of Student in June 2004, which it presented at the June 14, 2003 IEP meeting. However, no one from Synergistic Interventions testified at hearing. 40. Mother did not accurately inform Mr. Dotts about Student’s aggressive behaviors for the June 2002 evaluation. Mother informed Mr. Dotts that Student did not exhibit aggressive behaviors. At the hearing, Mother backtracked regarding the information she provided Mr. Dotts. Mother stated that Student exhibited some aggressive behavior towards his younger brother. Mother characterized Student’s interaction as normal sibling rivalry, which is why she did not mention Student’s behavior to Mr. Dotts. Mr. Dotts observed Student threatening to hit his Parents during his initial home observation when Parents told Student that he could not watch television. Student continued to exhibit aggressive behavior throughout ICT’s implementation of Student’s ABA program. 41. Student’s data binder and the observations of Mr. Dotts, Ms. Korello and Mr. Phillips do not show an increase in aggressive behaviors by Student. Mother’s testimony was not credible on this topic since she failed to provide Mr. Dotts with accurate information regarding Student’s aggressive behavior. As noted in Factual Finding 31 above, Student’s aggressive behaviors did not significantly impair Student’s progress in ABA program. 42. Student continues to display this aggressive behavior as he attempted to hit Dr. Osnes during her evaluation of Student. Ms. Traver stated that Student displays aggressive behaviors presently, but Student’s displays are extremely infrequent and are not serious enough to require a Behavior Intervention Plan. Ms. Traver stated that Student’s present aggressive behaviors, such as hand slaps and threats to hit favored persons, is tied to the use of DTT instruction. Ms. Traver opined that DTT was an antecedent to Student’s aggressive behavior, which Student used as an escape technique. Ms. Traver’s opinion corresponds to Dr. Osnes’s opinion of Student’s aggressive behavior. However, the impact of Student’s aggressive behaviors related to the use of DTT instruction cannot be determined without a FAA. 43. Generalization is an important skill for young children to learn, and a skill that autistic children have difficulty mastering. Generalization requires a person to be able to transfer a learned concept to different settings. In an ABA DTT program, a student first masters a skill in a one-on-one setting. The one-on-one instruction occurs in an artificial setting with no outside stimulus. The student needs to be able to transfer the mastered skills to real world settings. A simple example is having a student learn the color red. In the regimented one-on-one setting, the child might learn the color, but only associate the color with a few items that the therapist used to teach this skill. The ABA program needs to teach a student to generalize across time and settings so the Student knows real world use of skills at different times. 44. Student challenged ICT’s determination regarding when Student mastered a skill because of ICT’s discretion in deciding whether Student met the 85 percent mastery rate over three straight trials. Ms. Korello stated that she employed flexibility in making this determination as Student might have had a bad day or be influenced by external factors that prevented Student from meeting this mastery rate. While Dr. Osnes criticized ICT’s approach, neither Dr. Osnes nor Mother stated that Student did not master a skill in which ICT exhibited some of the criticized flexibility. 45. Dr. Osnes based her opinion about the appropriateness of ICT’s generalization program primarily on her review of the data binder and her criticism about how ICT documented its program. Dr. Osnes did not conduct a formal assessment of Student to determine Student’s cognitive ability, nor his ability to generalize mastered skills. Dr. Osnes’ opinion is an after-the-fact review two years after ICT stopped providing Student with services, without the benefit of a formal assessment. 46. Bryna Siegel, Ph.D., conducted a psychoeducational assessment of Student in April 2003. Dr. Siegel determined that Student is moderately mentally retarded, which corresponds to District school psychologist, Susan Schwaderer’s, more recent assessments regarding Student’s cognitive ability. Dr. Siegel found Student’s cognitive development to be the equivalent of a three to three-and-one-half-year-old child. Based on Student’s moderate mental retardation, Student will have problems in learning generalization skills. Student can generalize skills that he has learned, but Student’s ability to generalize is at a lower rate than what his Parents might want. 47. Parents’ conduct hindered ICT’s ability to teach Student generalization skills outside the home. Parents did not cooperate with ICT’s request to take Student out of the home more frequently. Parents wanted ICT to focus on instructing Student in the home. 48. Mr. Dotts, Ms. Korello and Mr. Phillips were consistent in their descriptions of the manner in which ICT taught Student to generalize mastered skills outside of the one-on-one sessions and in their convictions that Student made adequate progress. Ms. Davis opined that based on her review of the program that ICT created an adequate program to teach Student generalization skills and Student made adequate progress. Based on Student’s cognitive ability, Student learned generalization skills in ICT program at an expectedly slow rate. 49. Student did not present any evidence from Synergistic Interventions regarding Student’s generalization skills in June 2004, and Student’s ability to make progress in Synergistic Interventions’ program. Without testimony from a representative of Synergistic Interventions, the best evidence of Student’s progress regarding generalization is from Mr. Dotts, Ms. Korello and Mr. Phillips. 50. Student’s daily two-hour attendance at Covington Elementary consisted of some class time and the lunch recess period with a full-time one-on-one aide. Mr. Phillips was the primary aide. Student’s class at Covington Elementary consisted of other special education students of Student’s age who were in the process of being mainstreamed into regular education. The District properly placed Student with students with better-developed social skills so Student could try to emulate these students’ social skills. The aide was responsible for providing Student with social skills training. Student was greatly interested in being with other children. 51. Soon after Student started at Covington Elementary, Mr. Phillips noted that Student fixated on a particular piece of play equipment and played by himself. Mr. Phillips informed Ms. Korello of Student’s fixation. Ms. Korello created a play schedule board that had pictures of the play equipment to get Student to use the different playground equipment and to interact with the other students. The play schedule board succeeded in getting Student to rotate use of the different play equipment and to interact with other students. Student, with the assistance of Mr. Phillips, sat with and interacted with classmates at the lunch table. Student eventually became more independent in initiating peer contact and conversation with his classmates during lunch and on the playground. 52. Mother stated that she observed Student at school and did not see Student interact with other students. However, Mother only observed student a few times, while Mr. Phillips spent nearly everyday with Student. Also, Ms. Korello’s and Ms. Luks’s 12 observations regarding Student’s interaction with classmates during recess corroborate Mr. Phillips’s testimony. ICT developed and implemented an appropriate socialization program for Student to socialize with his classmates, and Student made adequate progress on his socialization skills. 53. Mr. Dotts had the proper experience and training to oversee Student’s ABA program. Mr. Dotts had extensive training and experience in ABA programs he began by working as an ABA therapist while in college. Mr. Dotts then obtained a master of arts degree in special education. Mr. Dotts had extensive experience at CARD in developing ABA programs and overseeing their implementation. Mr. Dotts had similar experience as an independent consultant with school districts before establishing ICT. Also, Mr. Dotts had attended numerous conferences on autism. 54. California law does not support Student’s contention that the District must use a certified behavior consultant, like Ms. Osnes, to direct Student’s ABA program. Neither the California Legislature nor the California Department of Education has passed any law or regulation establishing a certification program for ABA behavior consultants. Mr. Dotts had the requisite education and experience to oversee and implement Student’s ABA program. 55. Mr. Dotts and Ms. Korello provided ICT staff with proper oversight and training. ICT staff received extensive ABA training while Mr. Dotts established ICT right before starting Student’s ABA program. The training covered the fundamentals of ABA and DTT instruction over several weekends. Mr. Dotts and Ms. Korello provided ICT staff with continual training, including at the weekly clinic meetings, and they regularly observed the behavior therapists providing Student with services. Therapists received training focused on Student’s particular and unique needs. The data binder also included adequate instructions to the ICT behavior therapists regarding how they were to implement Student’s program. 56. ICT submitted monthly time sheets to the District for the services of Mr. Dotts, Ms. Korello and the ICT behavior therapists. Mr. Dotts described how he kept track of his time spent on Student’s program in his calendar and how he transferred that information to the timesheets. Mr. Dotts missed two or three weekly clinic meetings during the 2003-2004 school year, and Ms. Korello ran these meetings. While minor inconsistencies exist in the time sheets submitted by Mr. Dotts and Ms. Korello, the inconsistencies do not establish that Mr. Dotts and Ms. Korello did not accurately bill the District for the hours actually spent on Student’s program. Mr. Dotts and Ms. Korello credibly testified regarding the extra hours they spent on Student’s program due to the complexity of his case, and the demands of Mother. Nothing in the demeanor of Mr. Dotts or Ms. Korello gave any indication that they were not being truthful in their testimony that they supplied the hours of work on Student’s program required by Student’s IEP. 57. During the 2002-2003 school year, ICT submitted regular status reports to the District regarding Student’s progress, with the last report being the June 13, 2003 progress report. During the 2003-2004 school year, ICT did not submit any reports to the District regarding Student’s progress until the June 4, 2004 progress report. Ms. Luks was the District’s Director of pupil services during the 2002-2003 and 2003-2004 school years and responsible for the District’s special education program. During the 2003-2004 school year, Ms. Luks received updates from Mr. Dotts regarding Student during telephone conversations in which the two discussed Student and other District students in ICT supervised ABA programs. Neither Ms. Luks nor Mr. Dotts provided any explanation why ICT did not send the District status reports during the 2003-2004 school year. Mr. Dotts did not discuss in any detail Student’s progress in the ABA program at the January 12, 2004 IEP meeting. The District failed to adequately monitor Student’s progress during the 2003-2004 school year by not requesting that ICT provide written status reports regarding Student’s progress or reviewing any of the data in Student’s home data binder. A review of Student’s data binder would have shown the use of the prohibited aversive interventions to the District. 58. Student received prohibited aversive interventions during ICT’s ABA program in the form of cold baths or showers in response to toileting accidents and hot sauce for thumb sucking. These aversive interventions were not successful as Student’s toileting accidents and thumb sucking did not decrease during the 2003-2004 school year. After ICT ceased providing Student’s ABA program, Student’s toileting and thumb sucking behaviors decreased. Ms. Traver stated that currently Student’s toileting is not a behavior problem that the District needs to address in a Behavior Intervention Plan since Student rarely has a toileting accident at school. Mother did not establish that Student currently has a toileting or thumb sucking problem that interferes with Student’s educational progress. 59. Student contends that the use of aversive interventions during the 2003-2004 school year aggravated Student’s aggressive behaviors, which continue to the present. Student does display aggressive behaviors triggered by DTT instruction, according to Ms. Traver. Other than aggressive behaviors tied to DTT instruction, Student currently does not display serious aggressive behaviors that significantly interfere with his education. 60. Dr. Osnes did not state how many hours of instruction Student requires to remediate the deficiencies in Student’s ABA program that she noted, which included the aversive interventions regarding toileting and thumb sucking. Dr. Osnes stated that she would need to conduct a FAA to determine Student’s needs. 61. The District contended that even if ICT’s conduct constituted a prohibited aversive intervention, any negative behaviors Student presently exhibits can be traced to Parents’ admitted use of aversive punishment. However, District did not establish that any of Student’s present aggressive behaviors related to DTT instruction that Ms. Traver observed can be assigned to Parents’ use of aversive punishment. 62. The problem in determining any educational benefit Student lost is that this matter was not filed for a year after Parents complained to the District about the aversive interventions, and there was another year delay before this case went to hearing. Therefore, a FAA must be conducted to determine what, if any, compensatory education Student may require as a remedy for the aversive interventions. (8) Any intervention which deprives the individual of one or more of his or her senses. 10. IDEA empowers courts to grant request for compensatory services as the court determines is appropriate. (Burlington Sch. Comm. v. Massachusetts Dep’t of Educ. (1985) 471 U.S. 359.) On the theory that Congress did not intend the IDEA to entitle disabled children to a free education only where a child’s parents are able to pay for private placement during a legal challenge to proposed services, Burlington has been extended to allow district courts to grant compensatory educational services to remedy past deprivations caused by violations of the IDEA. Issue 1. From August 8, 2003, through the 2003-2004 school year and 2004 ESY, did the District fail to provide Student with a Free Appropriate Public Education (FAPE) because the District failed to supervise the implementation of Student’s Applied Behavioral Analysis (ABA) program through the certified non-public agency, I Can Too!, as alleged in Issues 2 through 5? Pursuant to Factual Finding 56, the District did not properly oversee ICT’s implementation of Student’s ABA home program. ICT did not provide the District with regular written status reports regarding Student’s progress, with no explanation provided why ICT stopped providing these status reports. The District only received regular updates on Student’s progress from Ms. Luks’s telephone conversations with Mr. Dotts. Ms. Luks’s telephone conversations with Mr. Dotts did not constitute adequate District oversight of ICT. Issue 2. From August 8, 2003, through the 2003-2004 school year and 2004 ESY, did the District fail to provide Student with FAPE because the District failed to provide appropriate supervision and training hours by the I Can Too! behavior consultant, which affected the program design and efficacy of the ABA program, including instruction by untrained staff, failure to advance the skills development program, inappropriate use of behavior management techniques, failure to advance the skills development program, inappropriate use of behavior management techniques, failure to provide necessary generalization skills into other settings and across time, and cancelled team meetings? A. Pursuant to Factual Finding 53 through 55, Mr. Dotts provided ICT personnel with adequate supervision and training. Mr. Dotts was qualified to be a behavioral consultant to oversee Student’s ABA program based on Mr. Dotts’s education, training and experience regarding autism and implementation of ABA programs. Mr. Dotts did not require certification by any national or state board or organization to be a qualified behavioral consultant as California law does not impose such a requirement. Ms. Korello and the ICT behavior therapist had adequate training to implement Student’s ABA program. B. Pursuant to Factual Findings 23 through 29, ICT’s use of a DRL system was appropriate to meet Student’s needs. The dispute between Dr. Osnes and Ms. Davis regarding the appropriateness of a DRL system is due to a clash of philosophical approaches. While Dr. Osnes and Ms. Davis have their preferred approaches, neither expert established that their preferred ABA approach is the only approach appropriate to meet Student’s needs. Case law gives the District deference in its choice when selecting an acceptable ABA methodology due to its educational expertise. (T.B. , 361 F.3d at p. 84 (citing Roland M. , 910 F.2d at pp. 992-93).) In this case, the District did not have a choice since Parents and their counsel chose ICT. Additionally, Student did not present evidence that at the time ICT provided services to Student that the Lovaas-style ABA program that ICT provided was not an appropriate choice of an ABA program for Student. C. Pursuant to Factual Findings 35 through 39, ICT developed and implemented an ABA program that adequately advanced Student’s skills. Student had acquired needed skills to attend and do well in a classroom setting, and needed to learn more functional skills to progress in school. Student made adequate progress in acquiring functional and other skills needed to do well in school. Due to Student’s moderate mental retardation, Student had difficulty mastering the skills addressed in the ABA program. Parents’ expectation that Student should have made more progress is not supported by evidence as Student made adequate progress based on his functional level at the time, which was approximately of a three to three-and-one-half-year-old child. D. Pursuant to Factual Findings 43 through 49, Student received adequate instruction in generalization skills from ICT. ICT properly determined that Student mastered skills before moving to have Student generalize these mastered skills outside the DTT setting. Dr. Osnes’s expert testimony does not support Student’s contention that ICT needed to employ inflexible standards to determine whether Student mastered a skill. ICT personnel could and should be flexible regarding whether Student mastered a skill based on their day-to-day interactions and knowledge of his ability. ICT could determine that Student mastered a skill even though may not have mastered over three straight days because Student had a bad day or was negatively affected by external factors on a particular day. ICT properly concluded that Student mastered a skill in a one-to-one setting and was now ready to generalize the skill in an outside setting, where ICT could address these external influences. E. Pursuant to Factual Finding 7 through 13, ICT incorporated improper behavioral management techniques regarding Student’s toileting accidents and thumb sucking. Mr. Dotts first mentioned the aversive intervention of cold baths to Mother, which Mr. Dotts knew were aversive and prohibited. ICT documented in the clinic update notes and spiral bathroom notebook that ICT personnel took Student to Parents for a cold bath or shower in response to a toileting accident. ICT also documented the use of hot sauce as an intervention to stop Student’s thumb sucking. ICT never documented that it recommended against these interventions and informed Parents that these interventions constituted prohibited aversive interventions. Mr. Dotts and Ms. Korello both acknowledged that these inventions constituted aversive interventions, which ICT could not legally implement. ICT acquiesced and folded these interventions into Student’s home program. These aversive interventions did not succeed in reducing Student’s toileting accidents or thumb sucking. F. Pursuant to Factual Findings 31 through 33, Student did not require a Functional Analysis Assessment and a Behavior Intervention Plan because Student did not exhibit serious behavioral problems that significantly interfered with Student’s educational progress. Issue 3. From August 8, 2003, through the 2003-2004 school year and 2004 ESY, did the District fail to provide Student with FAPE because the District failed to implement appropriate behavior management techniques with Student as Student was subjected to aversive and otherwise inappropriate behavior management strategies? A. Pursuant to Factual Findings 23 through 29, ICT’s implementation and use of a DRL system was not an aversive or inappropriate behavior management strategy. The dispute between Dr. Osnes and Ms. Davis regarding ICT’s use of a DRL system is based on philosophical differences between the two experts regarding the appropriate manner to implement an ABA program. Neither Dr. Osnes nor Ms. Davis established that the ABA method preferred by the other would not provide Student with adequate educational progress. Student made adequate educational progress with the DRL system ICT implemented. B. Pursuant to Factual Findings 7 through 13, Parents giving Student a cold bath or shower in response to a toileting accident and hot sauce to decrease thumb sucking during the ABA home program constituted prohibited aversive interventions. While ICT personnel did not give Student a cold bath or shower, Mr. Dotts gave Mother the impression that cold baths would reduce Student’s toileting accidents when he informed Mother that another parent used this method to reduce toileting accidents. If ICT believed that Mother should not use cold baths or showers, or hot sauce, ICT needed to document its objections and not modify its ABA program in a manner that made it easy for Parents to give Student a cold bath or shower or to use hot sauce. ICT’s conduct constituted its acquiescence regarding the integration of these prohibited aversive interventions into its ABA home program. C. Pursuant to Factual Findings 58 through 62, the aversive interventions regarding Student’s toilet accidents and thumb sucking possibly impact Student’s present display of aggressive behaviors related to DTT instruction. Student did not establish any particular level of compensatory services to remediate lost educational benefits caused by the aversive interventions. Dr. Osnes stated that she would need to conduct a FAA to determine any level of compensatory education Student may require. Student requires a FAA to determine any needed compensatory education, and whether the District’s education program during the past two years may have already remediated any harm caused by the aversive interventions. D. Pursuant to Factual Findings 14 and 16, ICT’s behavior management technique regarding Student’s toileting accidents at school was not an aversive intervention. However, ICT’s mixing of behavior techniques between the cold bath or shower at home for a toileting accident versus the use of a toileting schedule and loss of recess time at school created needless conflict for Student. The failure of the toileting plans is evidenced by the fact that Student’s toilet accidents did not improve during the portion of the 2003-2004 school year that Student attended Covington Elementary. E. Pursuant to Factual Findings 17 through 22, ICT’s use of the Listening Drill as a positive overcorrection does not constitute an aversive intervention. (See , Student v. Ontario-Montclair School District, San Bernardino County Office of Education, and West End SELPA (February 19, 1998) SEHO Case No. SN 618-97.) ICT properly used the Listening Drill to refocus Student during his DTT sessions, including by Ms. Williams during DTT sessions. Issue 4. From August 8, 2003, through the 2003-2004 school year and 2004 ESY, did the District fail to provide Student with FAPE because the District failed to provide Student with implementation of generalization and maintenance of acquired skills, as I Can Too! did not adequately address the generalization of skills outside the one-on-one instructional hours, including home, school and community and across time? Pursuant to Factual Findings 44 through 47, ICT’s ABA program provided Student with adequate generalization and maintenance of acquired skills. After Student mastered a skill, ICT properly addressed Student’s generalization and maintenance of acquired skills in its ABA program. Student made adequate progress regarding generalization and maintenance of acquired skills based on Student’s moderate mental retardation that appreciably limited Student’s ability to generalized mastered skills. Issue 5. Did the District fail to provide Student with FAPE because the District failed to provide Student with adequate social skills training to meet Student’s needs regarding the training provided by I Can Too! in the school setting for the 2003-2004 school year through the 2004 ESY? Pursuant to Factual Findings 50 through 52, ICT provided Student with adequate social skills training when Student attended Covington Elementary and Student made adequate progress. Ms. Korello created a play schedule board to have Student play on different play equipment because Student fixated on a particular play structure and did not interact with his peers. The one-on-one aide, who was normally Mr. Phillips, had Student interact with peers at the lunch table and on the playground. Student became more independent and made adequate progress in self-initiating peer contact and play, and learning socialization skills. Within 60 days of this order, the District shall conduct a FAA by a qualified behavioral consultant. The purpose of the FAA shall be to evaluate Student’s aggressive behaviors related to DTT instruction. The District shall convene an IEP meeting within 30 days of the completion of the FAA to discuss the findings of the FAA and to develop a Behavior Intervention Plan, if needed, regarding Student’s aggressive behaviors related to DTT instruction. 1. Student prevailed on Issues 1 and 3. 2. District prevailed on Issues 4 and 5. 3. Student partially prevailed on Issue 2 and 3 regarding the use of the aversive interventions for Student’s toileting accidents and thumb sucking. As to all other claims in Issues 2 and 3, the District prevailed.